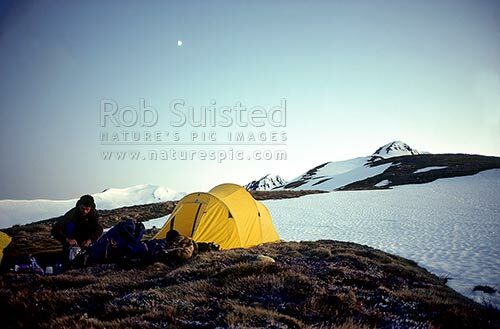 Alpine tent camping in snow above Lewis Pass. Moon still up. Tramper cooking breakfast at dawn, Lewis Pass, Hurunui District, Canterbury Region, New Zealand (NZ), stock photo.